Genevieve Cifelli, a former vegan and vegetarian representative for GW Dining, said she helped advertise GWorld vendors like Healthy Fresh Meals through social media. Updated: Aug. 30, 2018 at 7:41 a.m.
GW Dining representatives spend most of their time on Twitter – but this semester, students may see them in-person at Whole Foods or on-campus events. One year into the department’s dining representatives program, GW Dining now boasts six student ambassadors who tweet information about on-campus dining options for students with dietary restrictions. This semester, the program is looking to add onto hands-on events it began hosting in the spring, including dinners with representatives and food tables in Kogan Plaza. 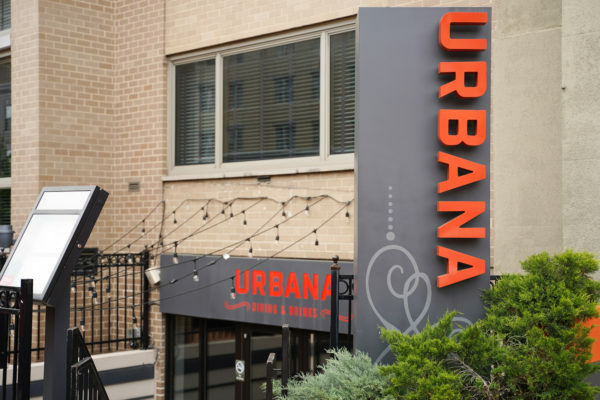 “We are pleased with the progress made by our student dining representatives and how they have shared information about various dining options since the program launched last year,” John Ralls, the director of communications and outreach for the Division of Operations, said in an email. GW Dining debuted the dining representative program last September, using students with specific diets – Kosher, vegan and vegetarian, Halal and gluten-free – to advertise dining vendors and meal options for students. The department has since launched accounts for students living on the Mount Vernon and Virginia Science and Technology campuses. Over the summer, Genevieve Cifelli, the program’s first vegan and vegetarian dining representative, said she partnered with GWorld vendors like Healthy Fresh Meals – a prepared meal delivery service added to GWorld in July – to help advertise the vendor through social media handles. Representatives also teamed up with student groups like GW Hillel to expand their presence with events like free bagel tables. But representatives are looking to do more with student groups, Cifelli said. Next month, representatives will also showcase “Supermarket Sundays” at Whole Foods, where they will encourage students to grab their meals ahead of the week. To begin the academic year, representatives also partnered with the Residence Hall Association to provide communal residence hall kitchens with cooking supplies, like pots and pans. They are also in talks with Whole Foods to provide students with basic foods to stock their shelves. Cifelli said the program’s pilot year was a success because students were eager to share their input with the representatives on social media accounts and through in-person events. After Colonial Inauguration this summer, Cifelli said GW Dining’s Instagram account, which posts photos of new vendors and meal options, racked up more than 700 new followers. At CI, Cifelli said she was able to chat with first-year students about managing healthy diets in college, pointing to one incoming student who discussed her Paleo-diet cookbook during orientation. In the spring, the representative program advertised events like “coffee and conversation” and taco meals in West Hall with the MVC representative. 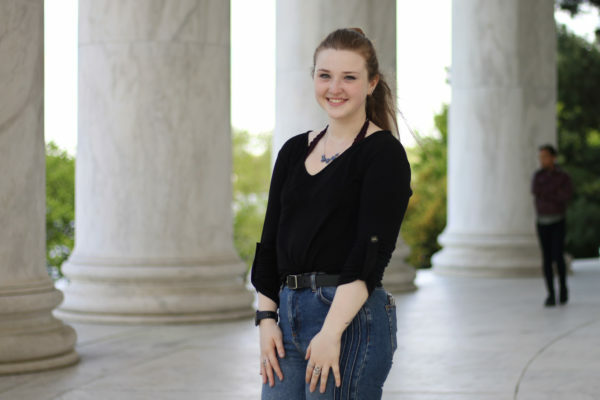 Cifelli said she stepped down from her role at the end of last academic year to take over as the communications and marketing outreach adviser for the Division of Operations, where she manages the GW Dining Twitter account. 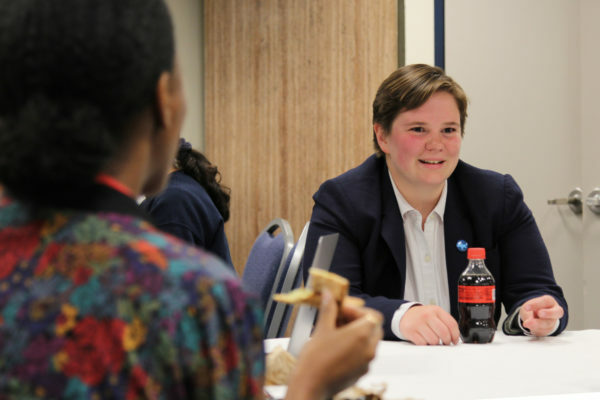 “Dining representatives help give students ideas on how to manage their GWorld budget and get the most out of their time at GW,” she said. 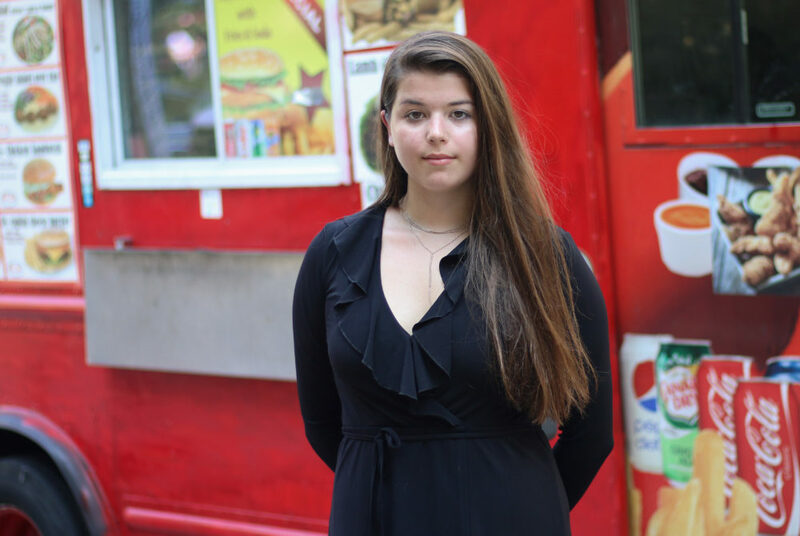 Thanida Pattana, a new student representative for the VSTC whose role was added to the program in June, said that while she is still in the beginning stages of her position, she wants to advocate for more local food trucks on the nearly 300-student campus. During a pilot program in February, officials sent four food trucks to the VSTC to determine whether the trucks should be an option. The Hatchet incorrectly reported that Sage Wylie was a junior. She is a senior. We regret this error. This article appeared in the August 30, 2018 issue of the Hatchet.